DeZURIK BHP High Performance Butterfly Valves are specially designed for applications in the chemical, hydrocarbon processing, pulp & paper, water & wastewater and HVAC industries worldwide. The valve was designed with an understanding that process industries need products that provide exceptional performance while reducing the total cost of ownership. 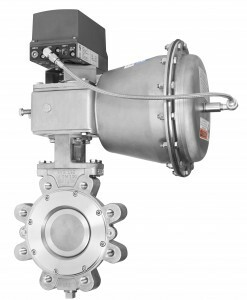 BHP butterfly valves have been rigorously tested to meet industry performance requirements. A fully supported one-piece shaft and heavy-duty bearings ensure perfect alignment of seat and disc leading to long life and trouble-free performance. DeZURIK offers a wide variety of seat options including PTFE seat, reinforced PTFE seat, flexible metal seat and a dual seat. DeZURIK BHP Butterfly Valves combine extreme service capabilities with features which have been time-tested for over 30 years.